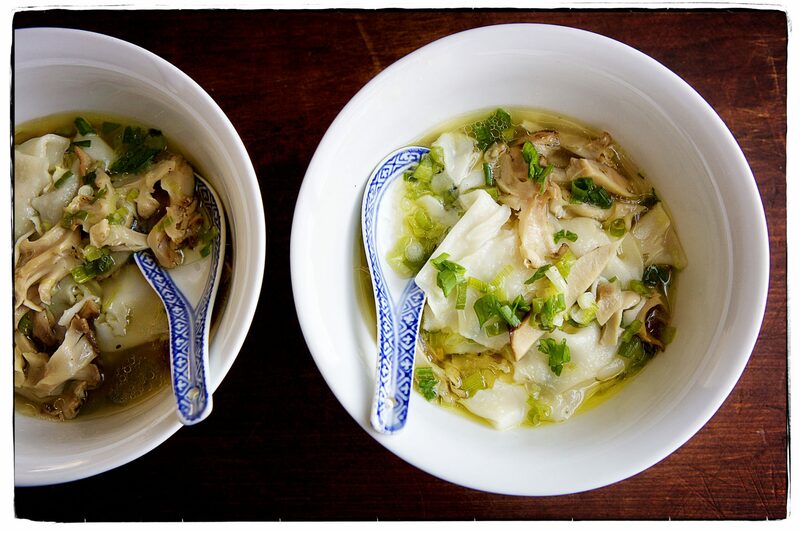 Yesterday, dear friends gifted us with a bag of wide scallion rice noodles from NYC’s Chinatown. This morning, we put a large pot of chicken wings, onions, fresh ginger, and water on the stove to bubble into something beautiful. By lunchtime, we had a rich, flavorful broth for our noodles. To the strained simmering broth we added sliced hen-of-the-woods and a large handful of chopped scallions, then we slipped in the noodles. If Frenchtown were big enough to have its own Chinatown, we might be slurping bowls of noodle soup like this every day, but until then, we’ll rely on the kindness of friends.